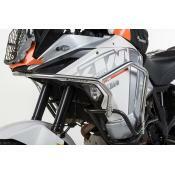 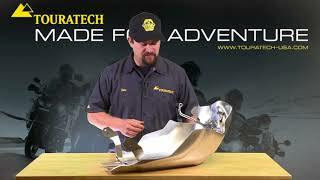 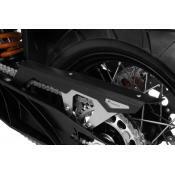 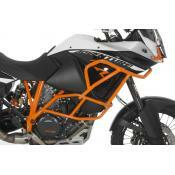 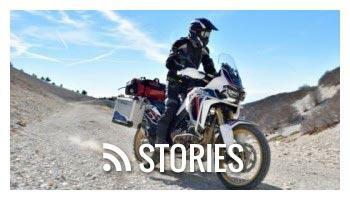 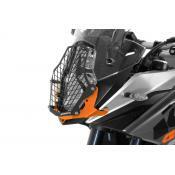 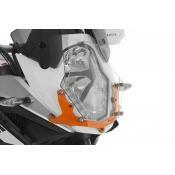 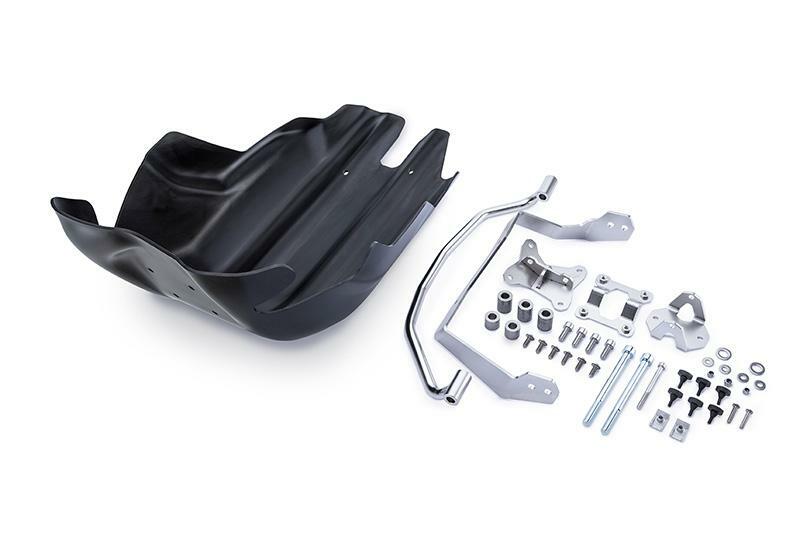 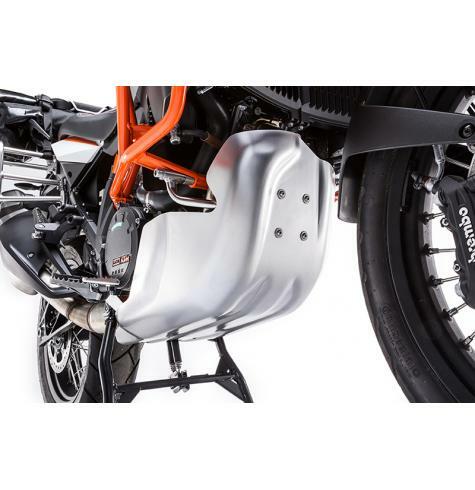 The Touratech RallyeForm Skid Plate offers the ultimate in engine protection for your KTM Adventure or ADV R. With its tubular front sub-frame, stainless steel mounting brackets, and 4mm thick aluminum formed plate, no other skid plate on the market comes close to the level of protection this engine guard offers. 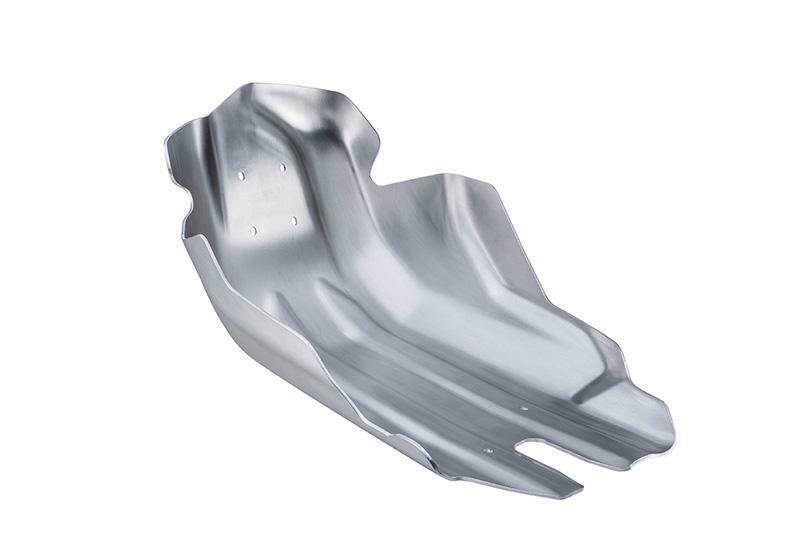 We start with a sheet of 4mm aluminum, and use precision tooling with 500,000 pounds of force to press it into just the right shape to provide armor for your engine.Cold stamping the sheet into a three-dimensional shape creates some serious benefits. 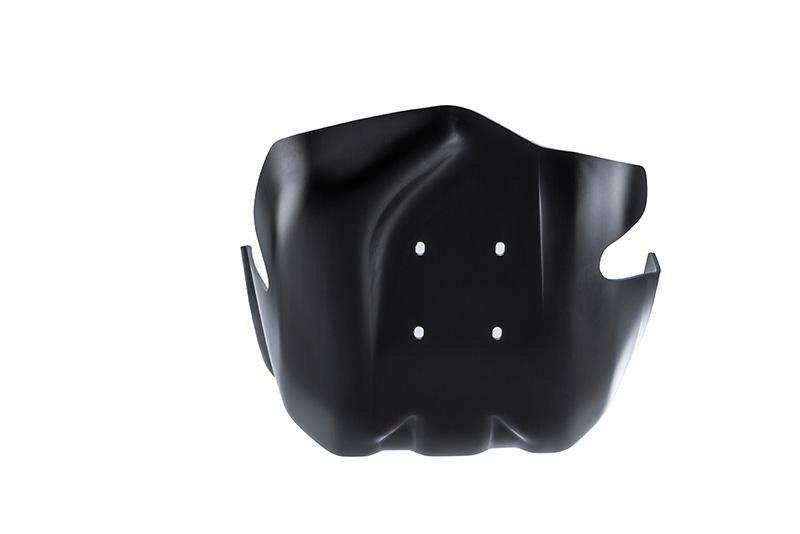 First of all, the process changes the crystalline structure of the material resulting in a tougher shell for better resistance to denting. 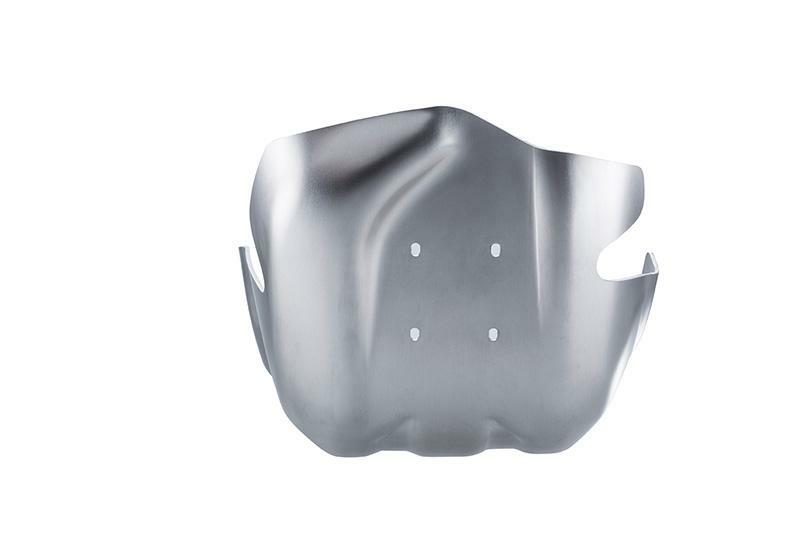 This manufacturing process also completely eliminates the need for welds, a common location for cracks to begin. 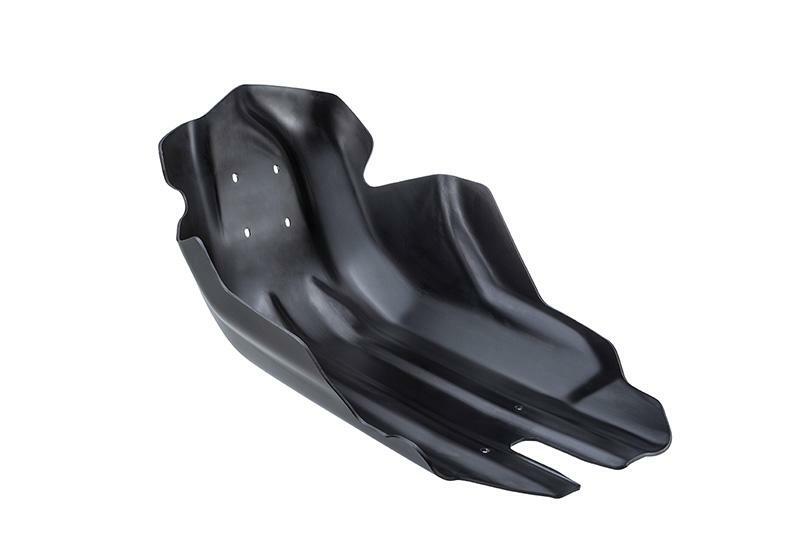 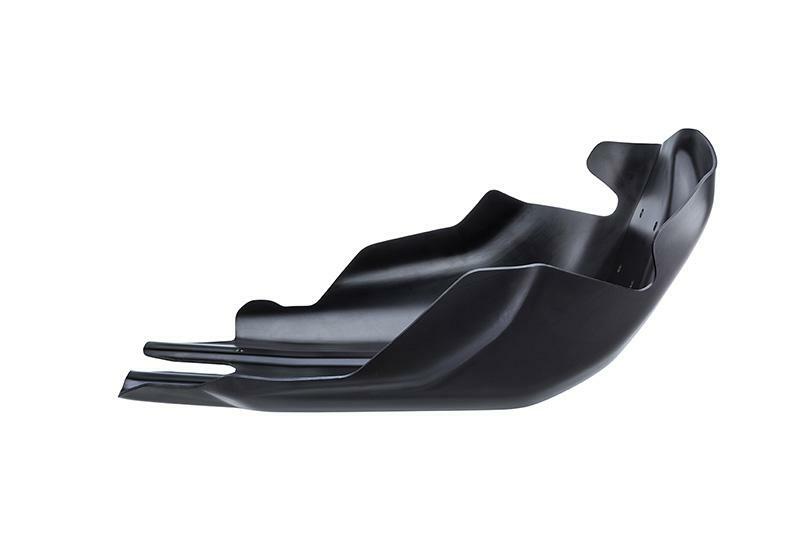 Designed with smooth radius bends, the shell is a much stronger structure than other skid plates on the market. 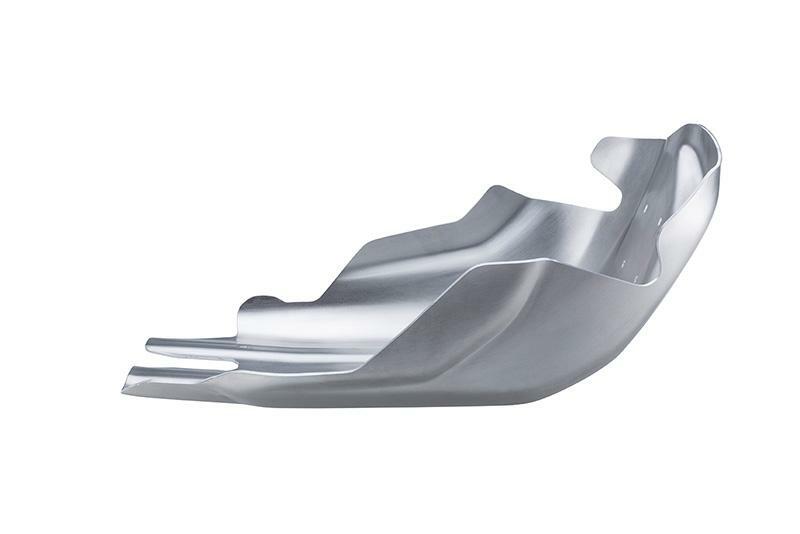 Beyond strength, there are more benefits. 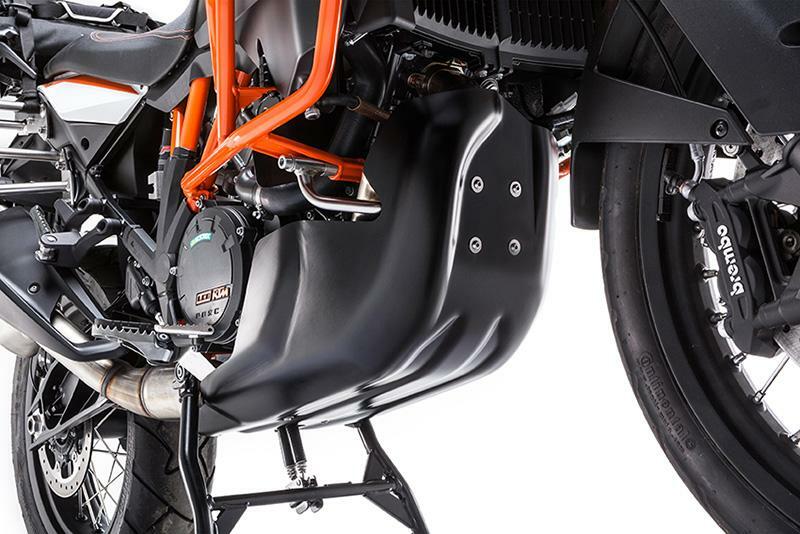 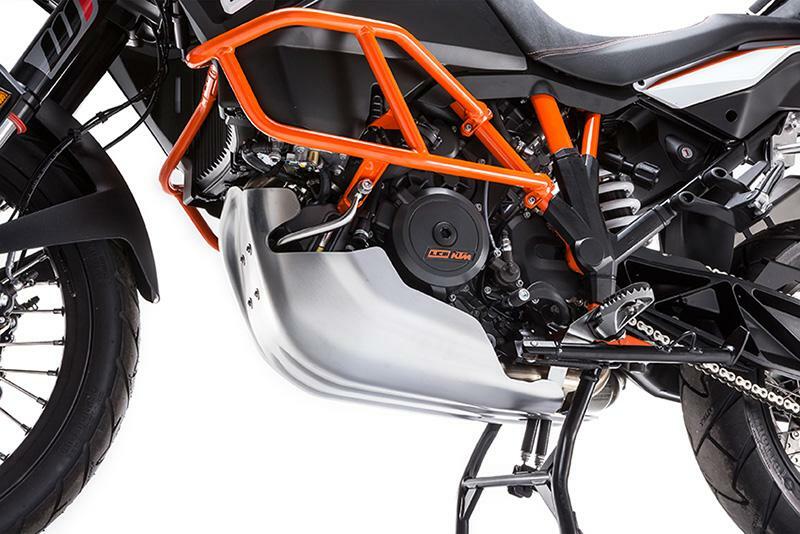 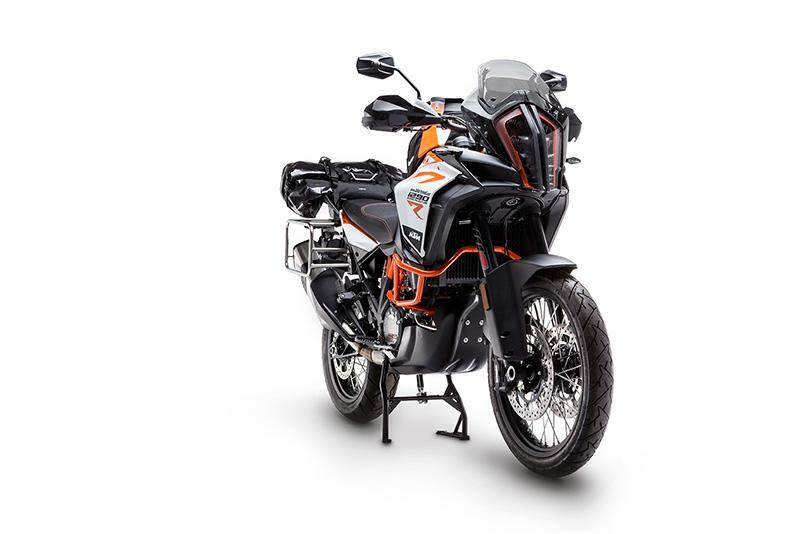 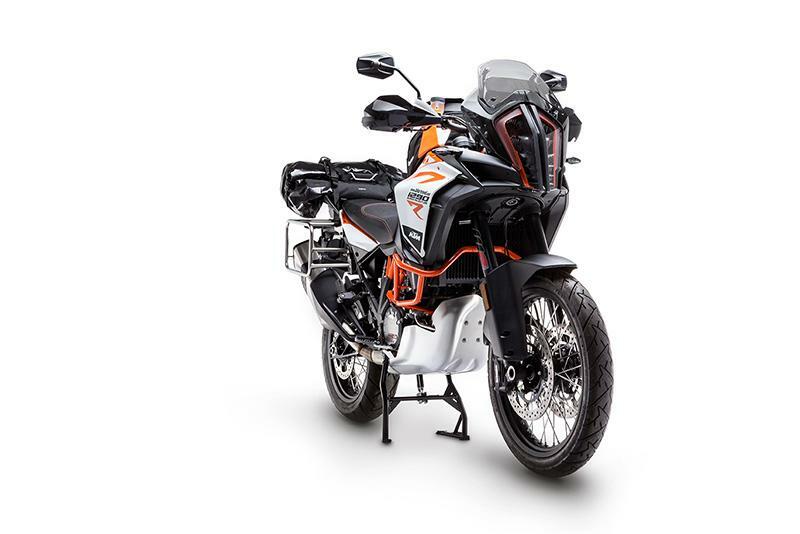 With no sharp-corners to snag or get hung up on obstacles, the Rallye Form skid plate will glide over deep sand or rough terrain making a smooth experience both bike and rider. 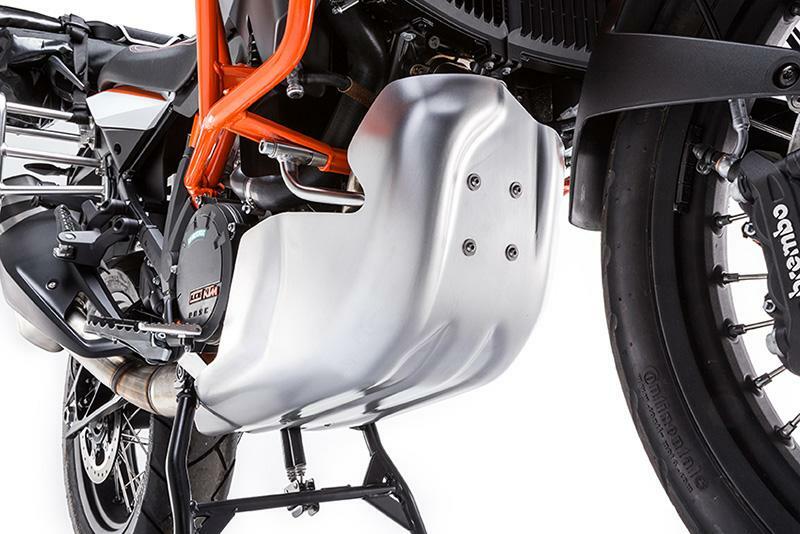 The Laser-cut stainless steel and tubular sub-frame adds strength while securing the Aluminum shell to the bike. 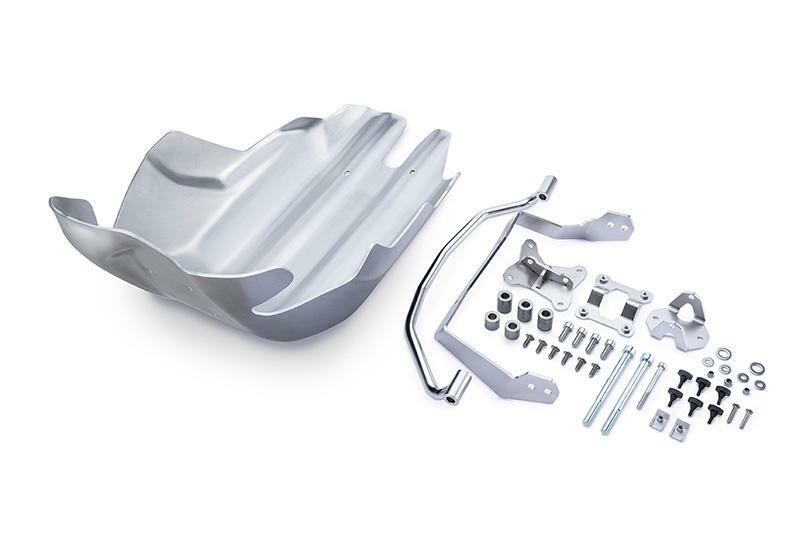 The aluminum shell can be easily removed from the stainless sub-frame for oil changes. 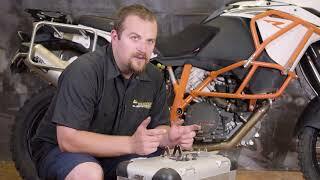 Developed for Touratech’s Race Team who thoroughly tested this product while racing an Africa Twin at the Hellas Rally where they won the big bike class and took 2nd in the overall rally, against a more than a hundred competition 450cc race bikes. 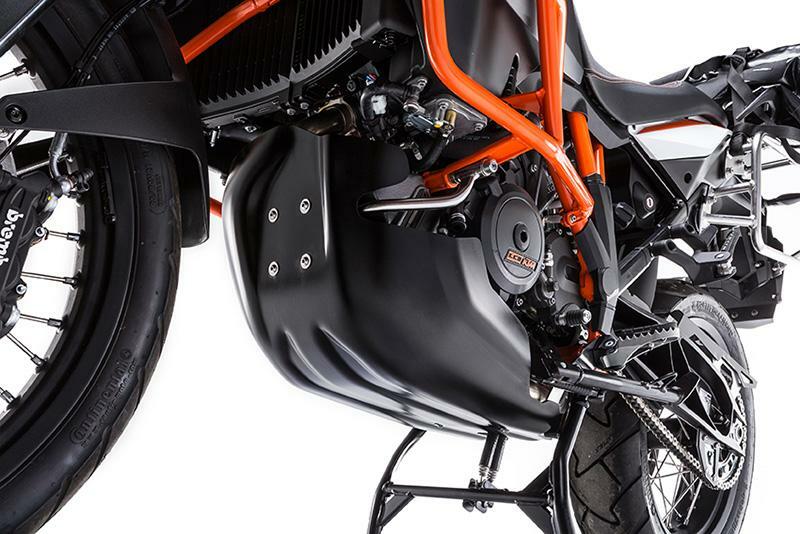 After this amazing result, we started calling this product the Rallye Form skid plate. 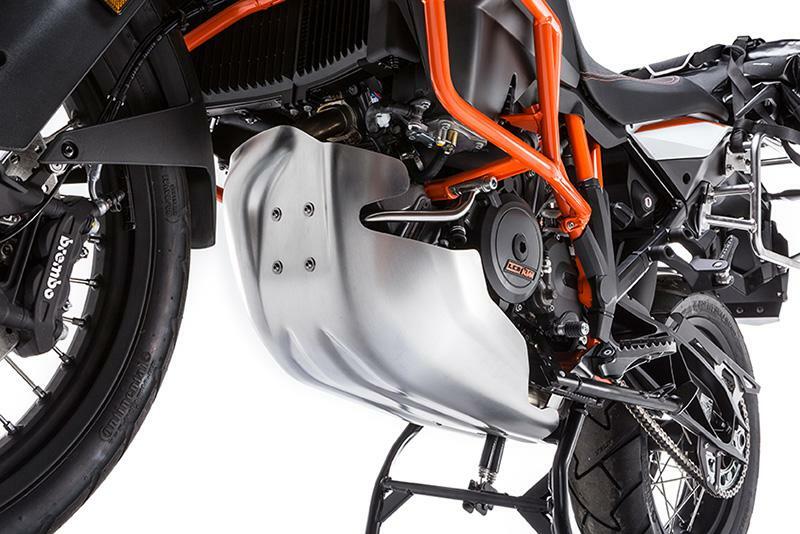 Touratech's RallyeForm Skid Plate offers complete and unprecedented protection for your KTM 1090, 1190, or 1290 Adventure's engine. 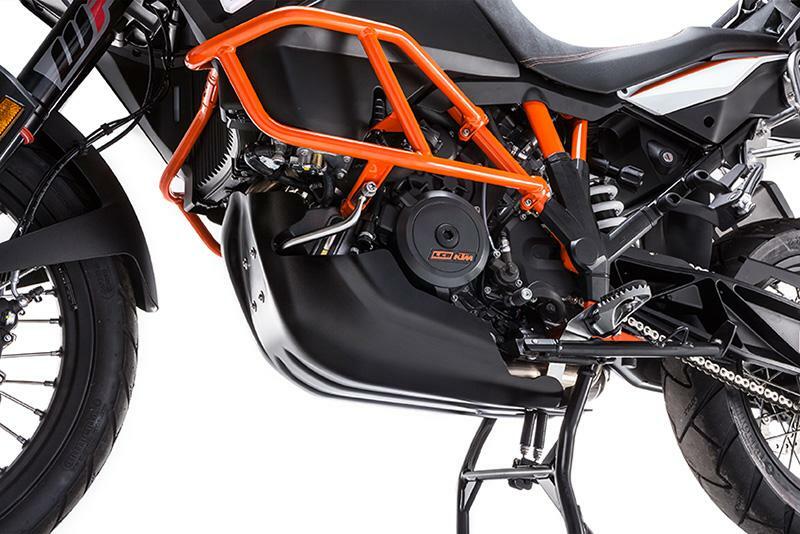 The heavy gauge stainless steel mounting brackets and tubular front subframe absorbs impact while supporting the oversized 4mm contoured skid plate.